Continuing our roundup of what’s best on the market to keep you stylishly and sustainably traveling. Like A Boss sweatshirt. Photo courtesy of ADAY. ADAY makes beautiful, simple athleisure wear for people like me who believe that sneakers belong in exactly one pace: the gym. They are stylish, sculptural next century designs to elevate even the most basic journeys into stylish rites of passage. Their pants (I love the Turn It Up and the Cut It Out) work easily both at work, in the city, or walking around dusty hill towns. I’ve worn their Pleat & Repeat tank as a layer for chilly hikes and as an elevated shirt for runs when, as a big believer in faking it until you in make it, I want to at least look the part of an experienced runner. And true story, I’ve never work the Like A Boss sweatshirt without a stranger stopping me to tell me they love it. All of ADAY’s pieces pack light and are wrinkle free. This is—hands-down—effortless travel style at its very best. Summer collection. Photo courtesy of Dock & Bay. As much a creature of comfort as I am of adventure, I’ve come to realize that towels are an essential part of every day living, whether at home or while traveling. Gone are the days of trying to convince myself I am totally fine without a towel at the beach and that a t-shirt is a respectable way to dry oneself after a shower. Thus I love Dock & Bay’s made for travel towels that come in a range of sizes but all fit into bags and suitcases. 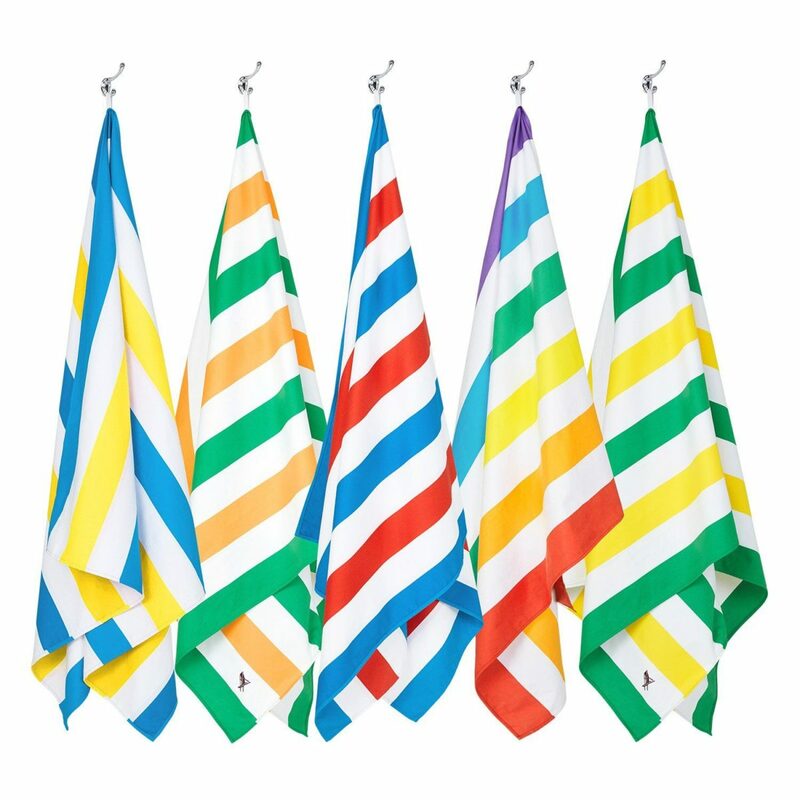 Their towels are lightweight, compact, and above all, absorbent and fast-drying (three times faster than a regular cotton towel), and sand-resistant so you leave sand and dirt where they belong (i.e. not in your suitcase). The company also makes bathing suits constructed 100% from recycled plastic bottles. Not that I needed anything else to make me look forward to summer. The Ruffle Sleeve Merino Tunic. Photo courtesy of Pashko. This summer while in France I wore Pashko’s Harmonious Elegant Traveler’s Tech Pants both in Paris and while hiking in the high Alps. The pants’ unusual cut and design made not only for a perfect fit but also for a functional hiking pant sturdy enough for a trek on the Tour du Mont Blanc and a look fashionable enough for the city of light. 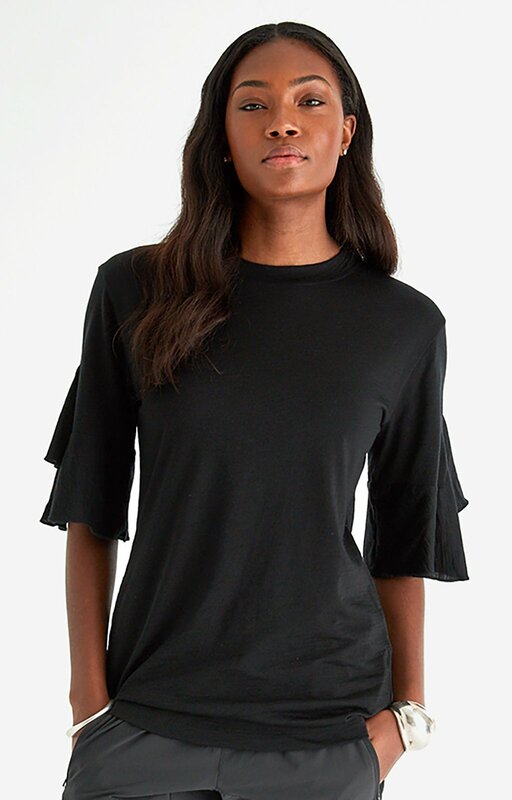 What’s more, Pashko’s designs are unexpected—think Merino wool sweaters with flutter sleeves and pockets—and blend a mix of urban and rural chic that work as well for the jet set or trail bound. All fabrics are bluedesign approved, meaning all elements that go into the fabrics are checked to be as environmentally-friendly as possible. The Original Puffy Blanket. Photo courtesy of Rumpl. No matter the season, I’m always freezing. I have a blanket from Tibet made from yak hair that stays on my bed year-round. Needless to say, I’m always cold while traveling. So when I heard about Rumpl, a company that makes packable, travel down, puffy blankets I was basically beside myself with excitement. I opted to try the one-person version which is the perfect size for a plane ride, to throw over a sleeping bag, or wrap around yourself around a campfire. This thing is a lifesaver and because it packs into a compression sack, pretty much the greatest. invention since sliced bread, in my humble opinion. Water resistant, machine washable, and only one pound, there is no reason why this won’t go with me on ever trip from this point forward. 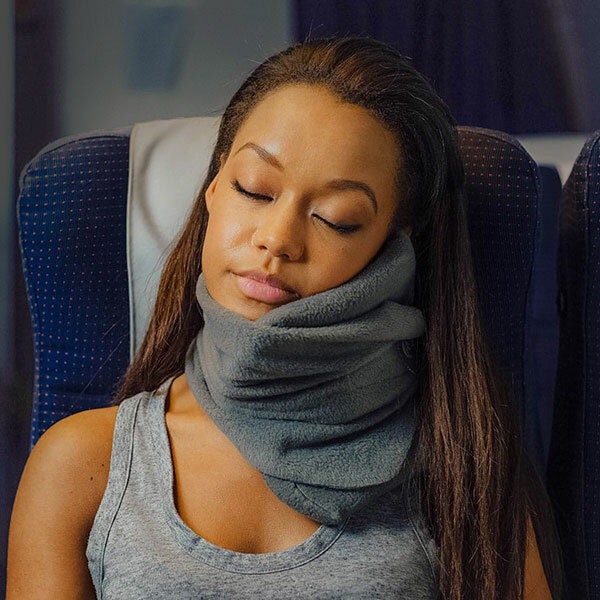 I have never really believed in neck pillows—they just seems so bulky and a but ridiculous looking—but I invariably always long for one on long flights. So when I heard of Trtl, a company that introduced compact, structured neck pillows, I was willing to give it a try. I gave Trtl a whirl on a long (i.e. two full days of driving) car trip and a plane ride and definitely fell asleep with it—and witnessed others do the same—but remain unconvinced if it helped me fall asleep and keep me asleep. Did it add to my comfort? Absolutely. Was it less bulky than other neck pillows on the market? No question about it. Is it worth the extra space in my carry on? Verdict is still out. 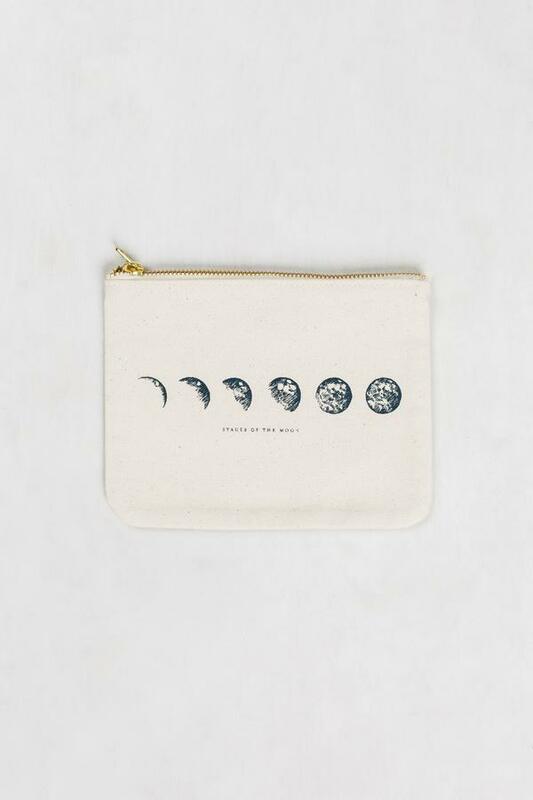 Moon Cycle Canvas Pouch. Photo courtesy of United By Blue. I was attracted at first to United By Blue for their mission: for every product sold, the company removes one pound of trash from the world’s oceans and waterways. To date they have removed almost 1.5 million pounds of trash. Truly amazing. But what kept me coming back to their site was their sustainably made clothing and a nicely curated selection of goods to travel and live in. They also have a sweet edit of gifts including this amazing moon cycle pouch and other niceties for the adventurers in your life. Besides from their own products they carry a good selection of high-quality camp and travel gear from other manufacturers, a nice round-up that gives you a “look no further” approach to planning for your next trip.